Delivery time: Leadtime varies by product when out of stock. The same as our Pure Tung Oil except that we have added a non-toxic naturally occurring resinous hydrocarbon for color. The resin is non-carcinogenic and does not contain any PCB’s. 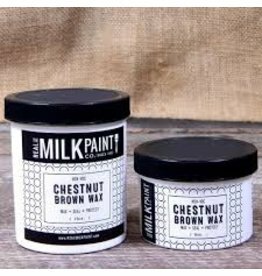 Dark Raw Tung Oil by The Real Milk Paint Company is water and alkali resistant. It resists marring, penetrates well, elastic and unlikely to check. Dark Raw Tung Oil builds quickly, consolidates the wood surface and builds a dark matte wood finish. It should be kept in an airtight container with minimum airspace. It’s so sticky it actually pulls cracks together as it dries. I put one coat on a wooden lemon reamer that’s splitting and the crack is definitely closing. Thanks so much for tracking down this product. This is coverage for the oil only and not diluted with Citrus Solvent. Pure Tung Oil is a finishing product that provides a tough, flexible and highly water-resistant coating for a great wood finish when staining wood. It is classed as a drying oil along with linseed, poppy seed, safflower seed, walnut, soybean, oiticica, and a few other oils. Although it is relatively new to the Western world, tung oil has been known for centuries to the Chinese, and until this century, China was the main source for the oil. It comes from the seed of the tung trees, Aleurites fordii and Aleurites montana, deciduous trees that are very susceptible to frost damage. This vulnerability has restricted the cultivation of the tung trees to China and South America. Tung oil received a widespread application in China: in the building trades as a treatment for both stone and wooden structures; in marine trades as a preservative and water repellant on wooden boats. It is said to have been introduced to the West by Marco Polo. From the 13th to the 19th century, tung oil had only limited use in the West. In the 19th century, it was adopted by the paint companies to become a major component in paints and varnishes. More recently, tung oil has gained favor over linseed oil for furniture finishing because it is faster drying and does not darken as much with age. 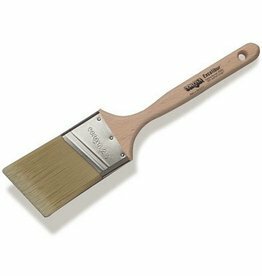 Corona Brush Chinex Excalibur 2.5"
An all natural way to thin tung oil. Will evaporate as it dries. Can also be used as an concentrated cleaner. Deluxe Metal Roller Tray 11"
Pure Tung Oil penetrates deep into the wood pores filling them up, consolidates the wood surface and builds a rich, matte wood finish. A gallon of the odorless cleaning solvent for brushes, paint thinner & remover.